Two superb restaurants offering traditional Portuguese and Italian cuisine. 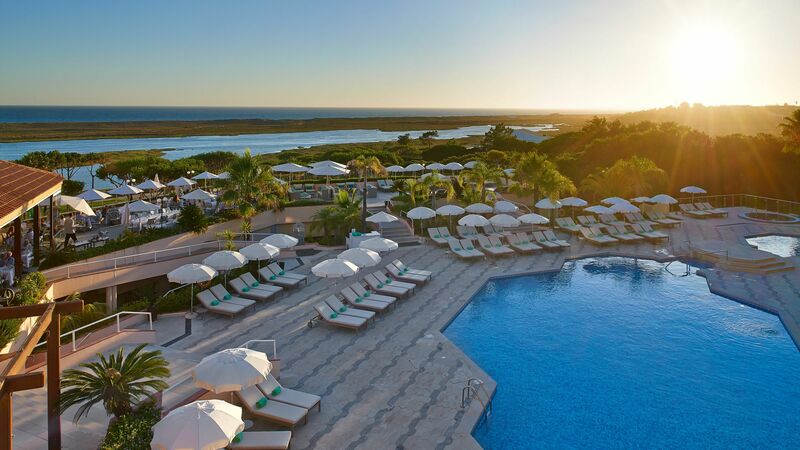 A member of the Leading Hotels of the World since 1988, 5-star Hotel Quinta Do Lago is renowned for its spectacular surroundings and world-class service. Located within the Rio Formosa Natural Park, guests will enjoy panoramic views overlooking the Algarve coastline and the hotel’s lavish gardens. Hotel Quinta Do Lago boasts spacious, luxurious rooms which are elegantly decorated with subtle blue and beige tones and a marble bathroom. Most rooms have their own private balcony for guests to enjoy. The hotel features two superb restaurants, serving traditional Portuguese and Italian cuisines with an expansive wine list. Those looking to relax with an evening cocktail or glass of champagne can head to Laguna Bar to appreciate the scenery. Perfect for couples and families alike, there’s plenty on offer to keep guests entertained. 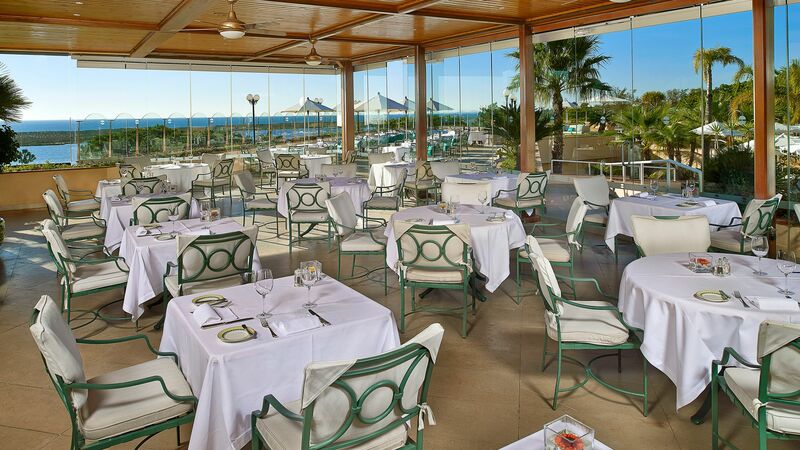 The hotel features two tennis courts, a rejuvenating spa and private beach club. Guests can even hire bicycles and explore the beautiful nature trails of the natural park. The hotel is a haven for golf enthusiasts in particular, boasting 16 superb golf courses nearby, and guests can enjoy the free transfer to and from courses. Hotel child prices apply to ages 4-12 years. The hotel has 141 rooms. Serving traditional Portuguese cuisine, guests can enjoy the picturesque surroundings on the open air terrace. 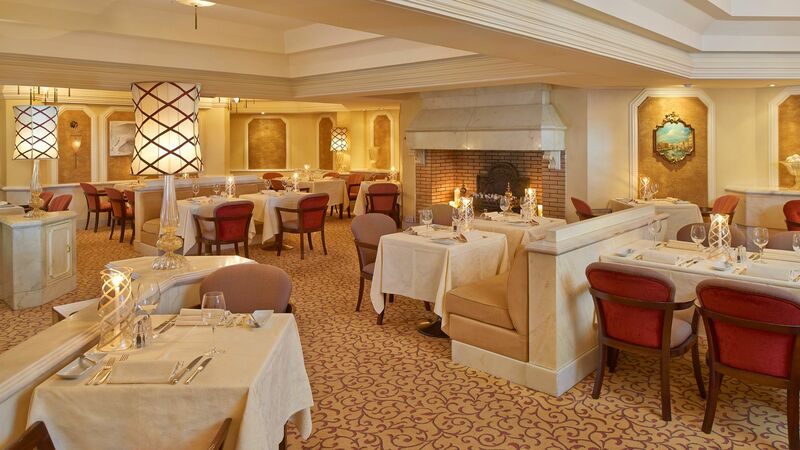 Guests can dine on delicious Italian cuisine inspired by Venice in the intimate, ambient atmosphere of Cá D’Oro. Head to Laguna Bar to enjoy a cocktail or champagne while overlooking the beautiful surrounds of the hotel. 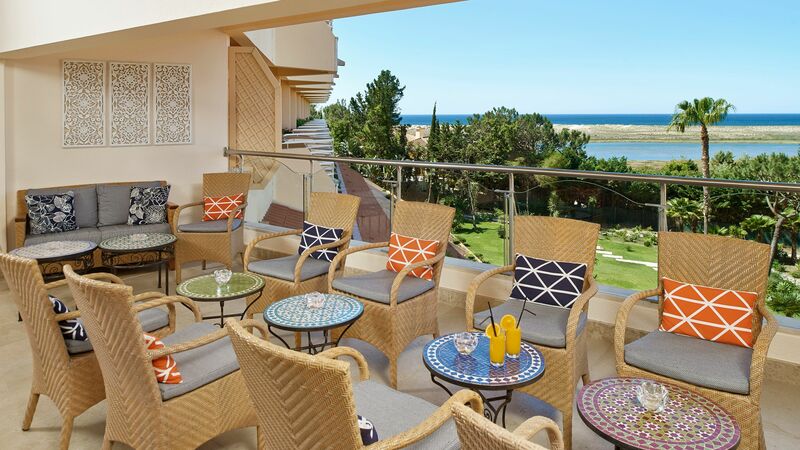 Hotel Quinta Do Lago is home to two outdoor swimming pools, an outdoor Jacuzzi and a heated indoor pool. A boardwalk connects the hotel to the beach, where guests can make use of the hotel’s exclusive beach club, featuring access to loungers and parasols. 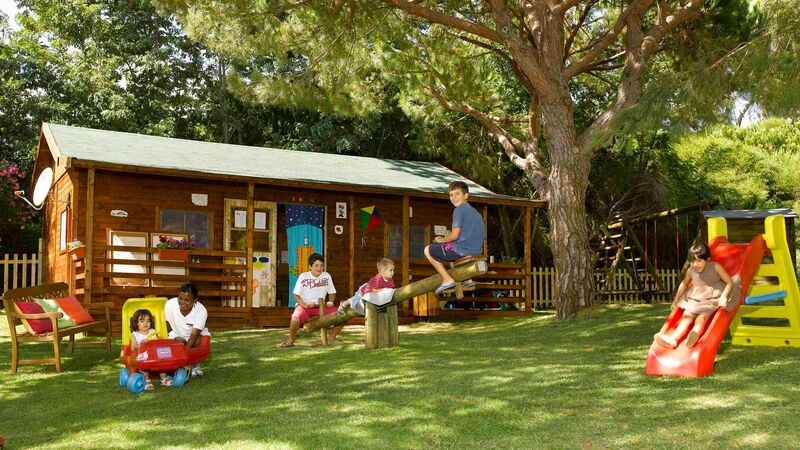 The hotel offers a kids club and babysitting services on selected dates during peak family times such as Summer, Easter and Half Term holidays. Please call our Trusted Advisers for more information and to check opening dates. Guests can enjoy the wide range of activities on offer, including two tennis courts, bicycle hire, easy access to nature trails and watersports on the lake or beach. Quinta Do Lago is one of the most prestigious golf resorts in Europe. It’s home to a range of excellent golf courses, of which 3 are championship courses. The hotel offers free transfer to golf courses. 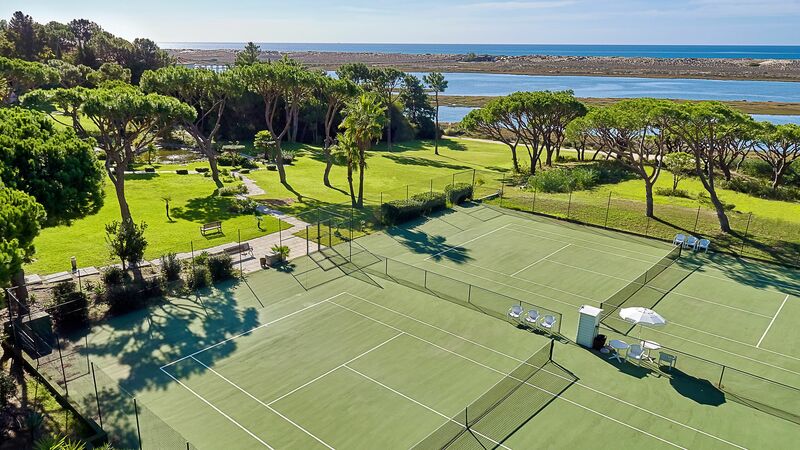 Located in the exclusive resort of Quinta do Lago, Hotel Quinta do Lago is close to the warm golden sands of the beach, as well as being just minutes from a professional standard golf course. Golf lovers will also find a host of other courses nearby, while other land activities include horse riding and tennis. 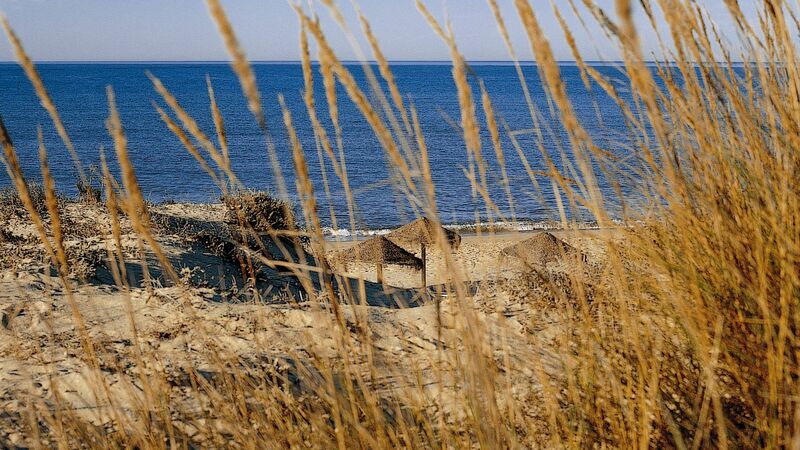 Alternatively, walk through the beautiful Ria Formosa Natural Park, which is home to wetlands and some interesting birds, insects and flora. The larger towns of Faro and Vilamoura are just minutes away from the Hotel Quinta do Lago. Faro is home to some spectacular beaches and rock formations which can be explored by boat, as well as pretty shops and restaurants. Vilamoura offers boutique shops and colourful traditional buildings, as well as an upmarket marina where you’ll find restaurants, bars and more. Hotel Quinta do Lago is a 30 minute drive from Faro Airport. Garden View Rooms - measure approximately 44m² and feature a furnished terrace, minibar, Wi-Fi connection, LCD TV, safe, telephone and a bathroom. There also great views looking down upon the resort gardens. Garden View Lagoon Side Rooms measure approximately 44m² and feature a furnished terrace, minibar, Wi-Fi connection, LCD TV, safe, telephone and a bathroom. There are sweeping views of the lagoon below. Sea View Rooms - measure approximately 44m² and feature a furnished terrace, minibar, Wi-Fi connection, LCD TV, safe, telephone and a bathroom, some of which have a large walk-in shower. There are sweeping views of the coastline. Interconnecting Garden View Rooms are also available, equipped with all the facilities of two rooms, great views towards the resort gardens and of course interconnected, making them ideal for families. Interconnecting Garden View Rooms on the Lagoon side are also available, equipped with all the facilities of two rooms, great views towards the lagoon and resort gardens and of course interconnected, making them ideal for families. Premium Garden View Rooms measure approximately 50m² and feature a seating area with sofa and a marble bathroom with some rooms having both a bathtub and walk-in shower. There are great views looking down upon the resort gardens. Premium Sea View Rooms measure approximately 50m² and feature a seating area with sofa and a marble bathroom with some rooms having both a bathtub and walk-in shower. There are fantastic views of the Atlantic ocean. Golf offer is available at this hotel, please call our Trusted Advisers for further details. Honeymooners will receive a complimentary bottle of sparkling wine and cake for holidays between 01 November 2018 - 31 October 2019. Great staff and food - they cater fantastically for families. Refined old school luxury. Best hotel we have stayed in on the Algarve by far. We will certainly be returning with our friends and family again. This hotel will always be the number one in Quinta do Lago. It is elegant, sophisticated, proper old school luxury, a class above. The views out across the beautiful grounds to the sea are special. The staff and service are excellent, just superb. My wife and I recently visited the hotel for the first time and have quickly booked a longer stay next month. We thoroughly enjoyed it. The staff were excellent throughout and the hotel is superbly located. We liked the room, although we felt that the bathroom was a little tired and outdated for a hotel of this stature. We booked the day before travel and were greeted with very helpful staff. We were also offered a room upgrade and it was amazing. Had a private pool and large outdoor area. We had such a lovely day, only wish it were longer!